EA really wants you to like them. No really, they are trying to be likable. And, like a cheap date, they’re giving it away for free. 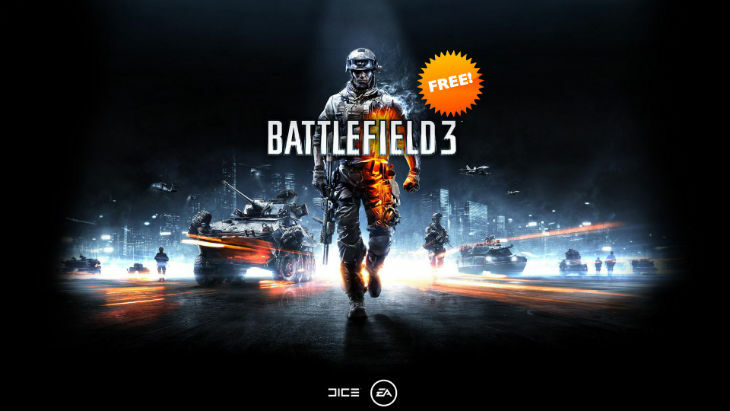 Well, at least they’re giving away another game for free, and this time it’s the beloved Battlefield 3 – just in time for the Battlefield Hardline hype. If you head on over to Origin, you can grab Battlefield 3 for exactly R0/$0/€0/£0. Yes, the game is completely free for the PC master race. So, all you COD fans who have loyally avoided giving Battlefield any money can give BF3 a shot and see what all the fuss is about. This is not a trial or demo, this is the full game, for life, for free. Just like Plants vs. Zombies became free recently. Normally priced at R200, the game is totally “On the House” from Origin. However, we don’t know how long this offer will last. So, if you have any interest in playing the game, I recommend heading on over and claiming it. You could always download later, but you might not be able to grab the promotion later. I have no doubt that EA is trying to build the love for Battlefield again after the much derided flop of a launch of BF4. The game may be totally fixed now, but many gamers still prefer Battlefield 3 simply because it didn’t hurt them like a bad ex-boyfriend. With Battlefield Hardline on the horizon, EA will want gamers as happy and pro-Battlefield as possible. This is certainly a nice way to do it. Everyone loves free games. C’mon guys, let’s all grab the free game and see if Origin’s servers can handle all the traffic.